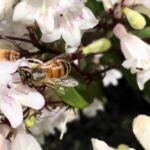 Our Spring honey harvest was one-of-a-kind. For the first time ever, Stephanie and I were able to work with Ryan weekly to monitor the progress of each of the hives in our apiary. 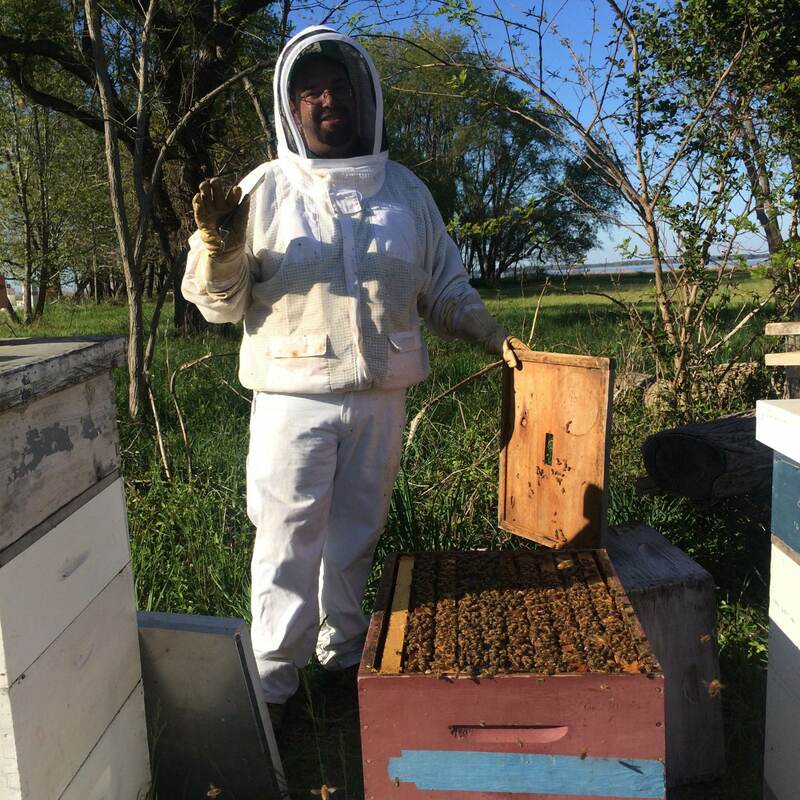 We started in March and despite lots and lots and lots of rain, we managed to manipulate our schedules and meet up on the farm to look into each individual hive. 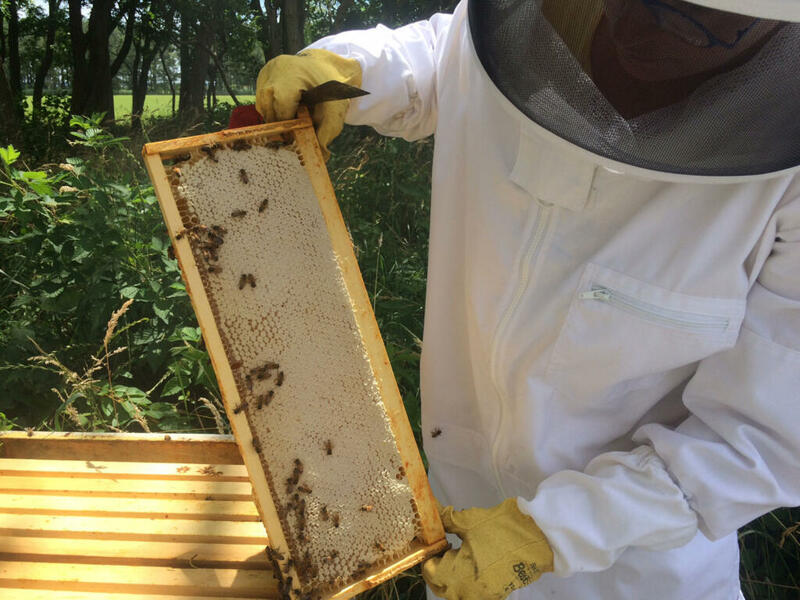 We “made room” adding empty frames of drawn comb giving the bees plenty of space to lay eggs and grow. Each visit, we monitored for signs of disease and egg laying. 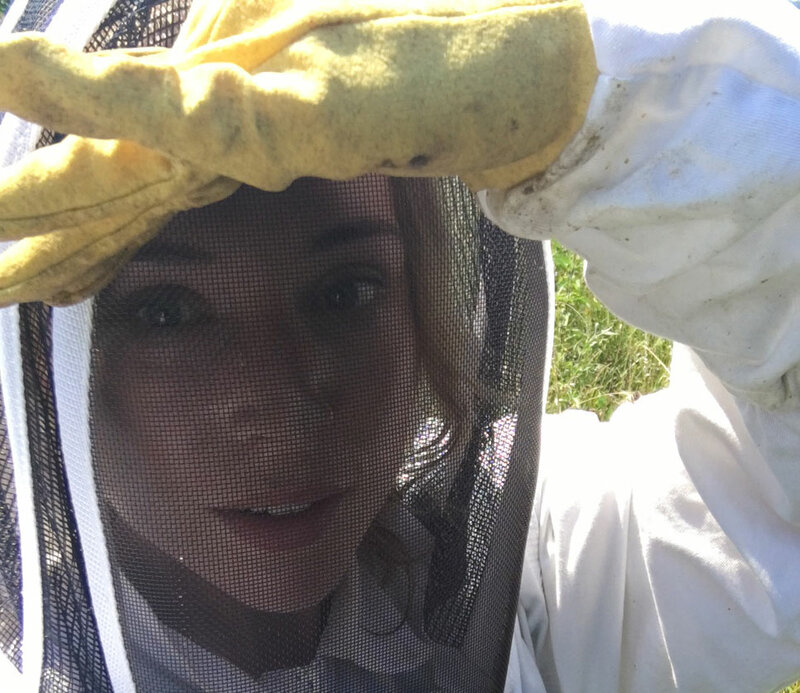 I can say with great confidence that this is the year that things really came together for me as a beekeeper. It’s also been wonderful to learn from another very experienced beekeeper in Ryan and to share this with my colleague, our lead maker here at our Honey House, Stephanie, who has a persistent smile on her face every time we are in the field. The biggest part of the adventure this year had to do with timing of harvest, and a nasty illness that prevented Ryan from joining us. We did it. It was difficult. It was heavy. And it was hard to do, but we did it. AND–with a new team-member (though he is certainly not new to me) joined in on the fun. My comrade and director of VisionWorkshops, Kirsten Elstner tipped me off that her son Jack was looking for side-work this summer. She did not realize that harvest was starting that afternoon and that poor Jack was about to be initiated as lead lifter in the apiary. It helps that he stands well over 6 feet tall and strong with a very positive attitude and a willingness to help that seems almost foreign in the other 18-year-olds I’ve met. 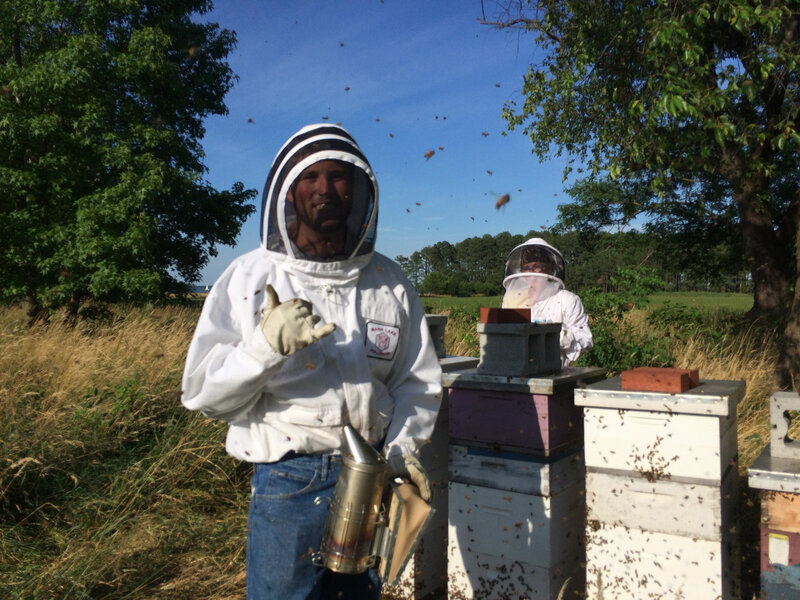 We’ve been busy bees since harvest and are proud to announce– despite all the rain we had during blossom-time that we’ve yielded about 1000 pounds of honey. Previous post: This Strawberry Rhubarb Crisp happens to be Gluten-Free, but nobody needs to know.